Comcast has not revealed exactly when live and On Demand content will be available for tablets, but later this year customers will be able to watch live news, TV shows and movies in their homes whenever they want. Comcast will be rolling out a new play now feature on its Xfinity TV iPad app that will allow subscribers to watch nearly 3,000 hours of On Demand content, including popular movies and hit TV shows, either in the home or on-the-go, including anywhere there is a wireless connection. Comcast’s Xfinity TV app functions as a television guide, remote control and mobile video player all in one. 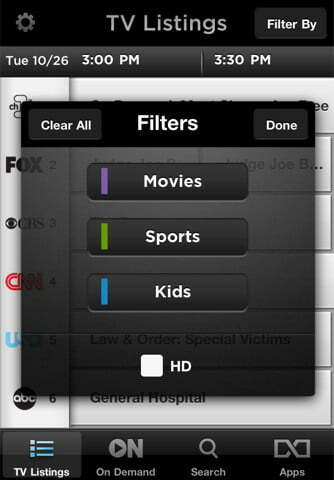 Users can change TV channels, search through their TV and On Demand listings and program their DVRs. Future releases of the app will include access to social networking sites allowing customers to watch shows with friends as well as share recommendations through the app with a group of friends.